It’s nearly March 1st, and in my mind, Spring is basically here. So who better to ring in the new season than wedding industry wonders, Joy Proctor, Kelly Kaufman, and Jose Villa? They came together for an inspiration shoot that’s one of the prettiest things you’ll EVER see (can you say, dream bouquet?) and these images in The Vault are going to be upping our #weddinggoals in a serious way. 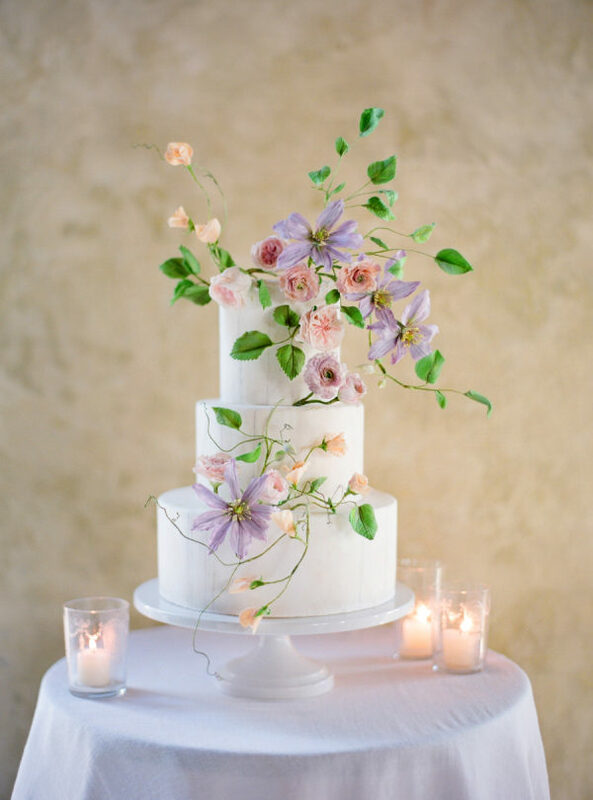 From Joy Proctor Design…The inspiration for the shoot was the mouthwatering combination of lilac and blush. The effortless femininity created by the mix of the two colors was something we just loved, and wanted to present in an elegant way, without being overly sweet. Love Jenna Calligraphy did the incredible hand painted invites and paper goods. 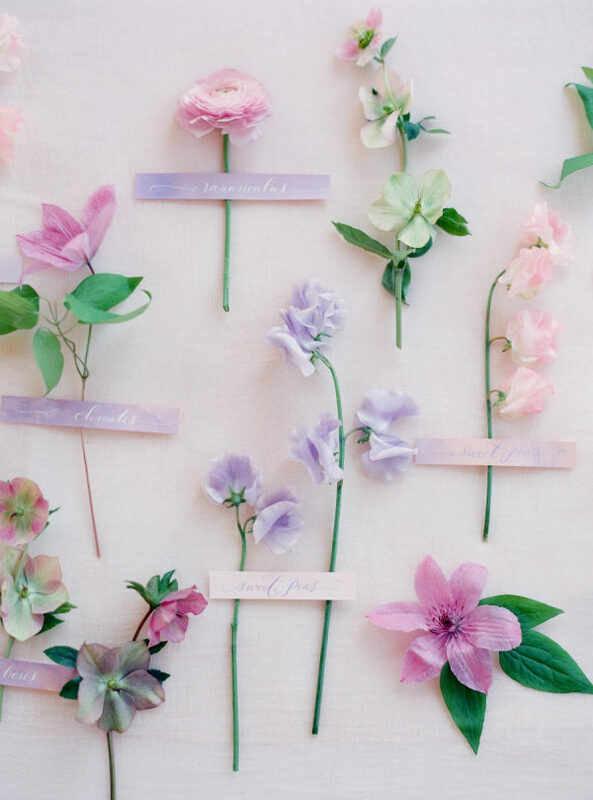 Her whimsical calligraphy paired with the dreamy color palate truly made the paper come alive. 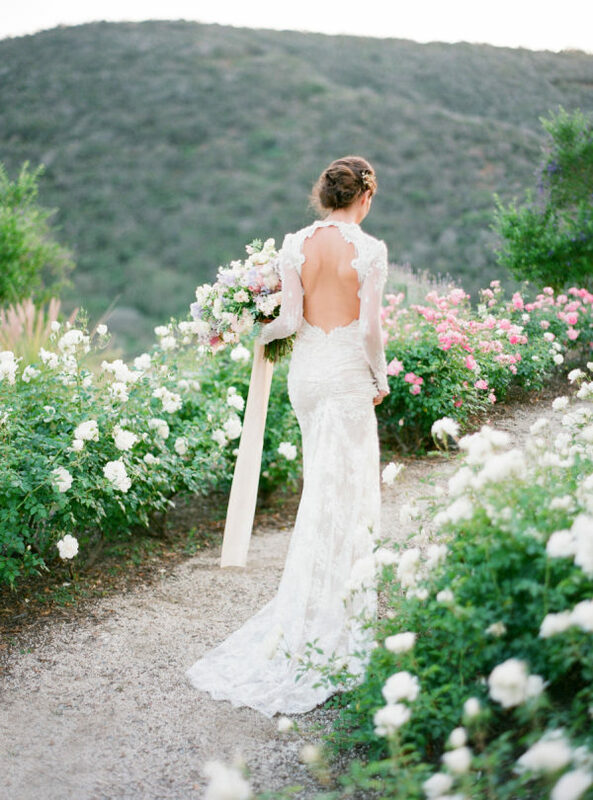 The intricate gown by Inbal Dror was a nod to the old world charm of the venue. Traditional in its long sleeves, with a feminine and romantic deep back, it was truly the gown of whimsical bride who still longed for tradition in her wedding. The delicate crown a top the brides head was another nod to the old world venue. The beautiful cake by the one and only Maggie Austin was truly the star of the show. Hand painted florals made to match the flowers in the centerpieces and bouquet were a true work of art. The aged patina of the venues walls inspired the frosting on the body of the cake. The silver flatware from Small Masterpiece, is truly stunning and adds instant elegance to any place setting. 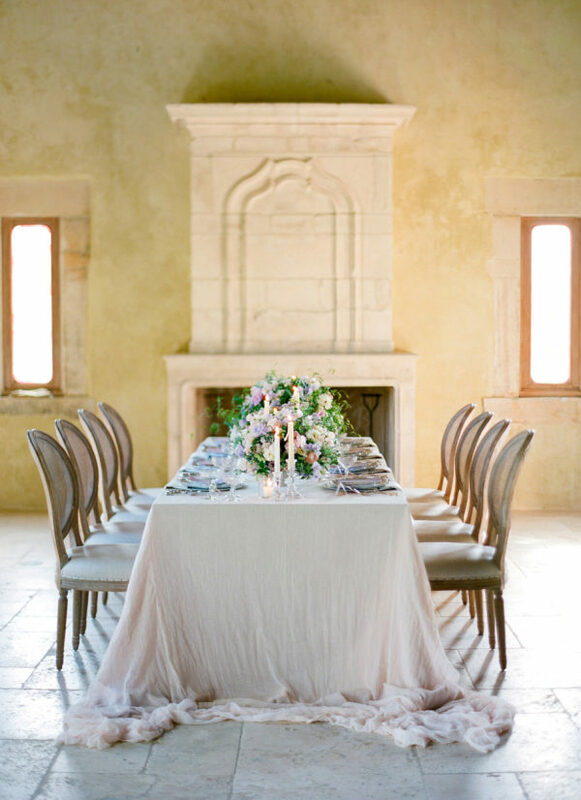 It was important for us to keep the look feminine and fresh, without sacrificing any elegance or sophistication. The fine silver flatware complete with knife rests, was the perfect way to do that. Jason from Small Masterpiece set the table with white gloves, measuring everything before placing the china and glassware. It is truly a level of detail and service from another era. The florals were truly our ambassadors of color. 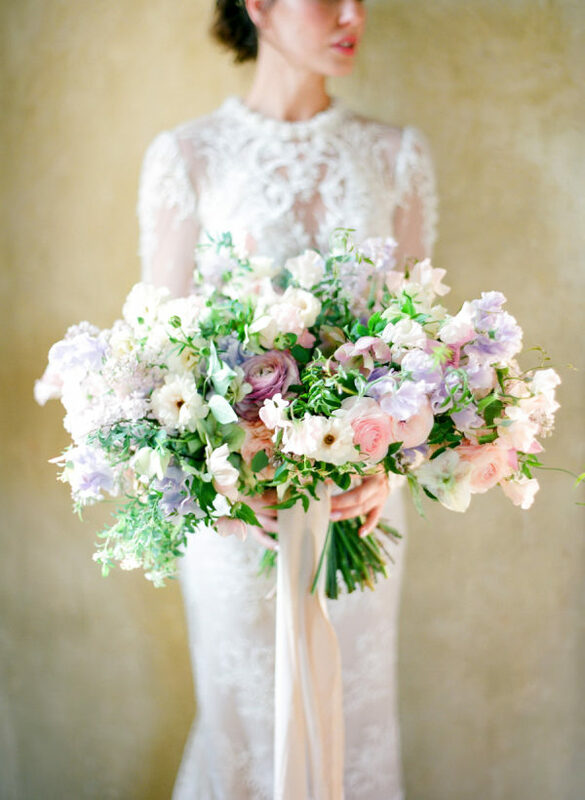 Kelly Kaufman using the most incredible selection of clematis, sweet peas, hellebore, garden roses, ranunculus, lilac and other spring flowers to hint at the whimsy of the look. I wanted to label the florals as a study of sorts so show how incredible the selection truly was, and how many incredible florals went into such beautiful arrangements.